I am a coffee lover ! In our family everyone loves coffee. At our home we don't make a regular instant coffee, we always makes cappuccino. 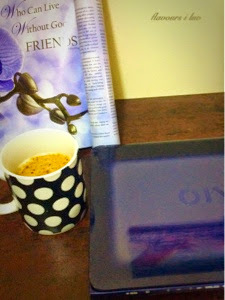 When I was in India I always prefer to have coffee from " Coffee Beans " here, its " Starbucks". You don't need to have a coffee maker, or an espresso machine at home to make cappuccino. 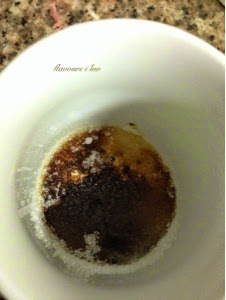 Take a cup ( or mug ), add coffee powder and sugar. Add 2 to 3 droplets of water. When adding droplets of water, the mixture in the cup should not become too wet. So add only little just for mixing. Now start stirring the content in the cup quite fast with the back of a spoon. 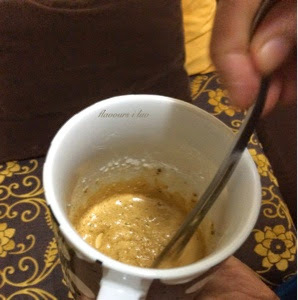 You have to stir until you get a thick-gooey-coffee-cream kinda mixture. It will take two to three minutes. 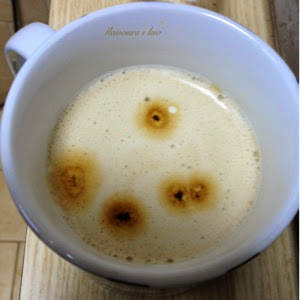 The dark brown coffee miture will turn to beige color. It should smell heavenly. 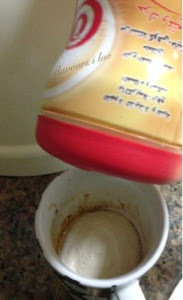 Now add the coffee mate into the coffee mixture and add boiling water by a rotating movement and give a gentle stir. You can see the froth gushing up just like in cafes. You can sprinkle some coffee powder over the top. Thank you Nammi, may Allah reward us for all the good deeds. Thank you Rafee..may Allah accept our duaas in this holy month.